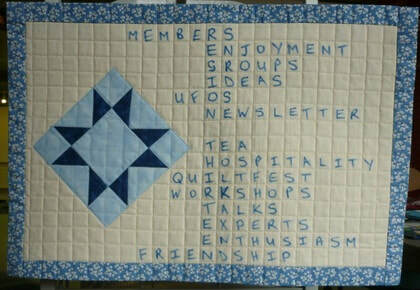 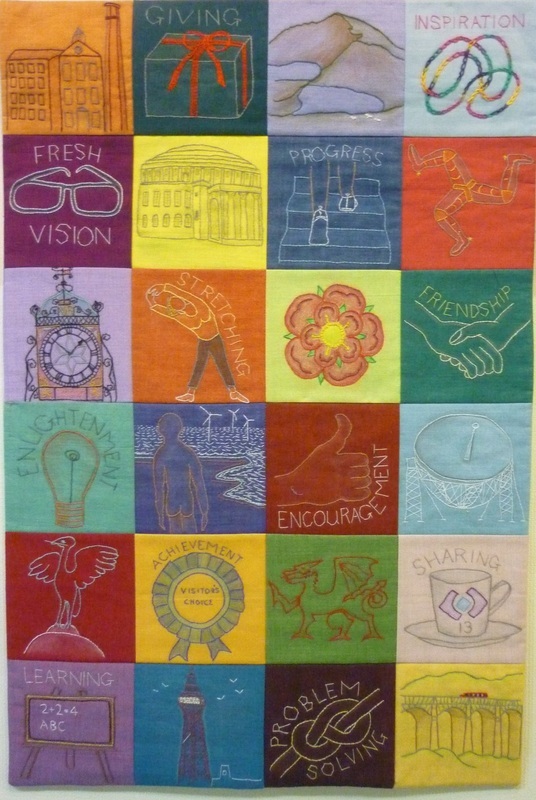 ﻿﻿The Quilters' Guild of the British Isles is divided into 16 regions. 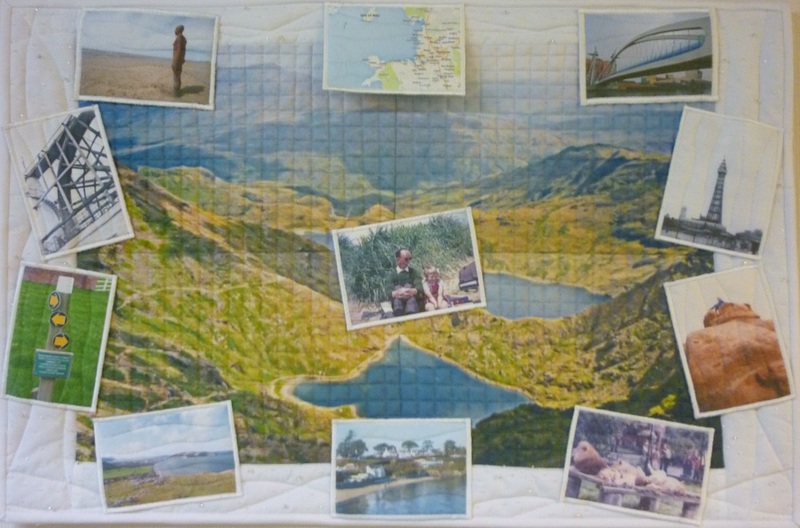 ﻿Region 13 occupies a large geographical area from Anglesey and the Lleyn peninsular of Wales in the West to the Cheshire Peak District and Pennine Lancashire in the East and the shores of Morecambe Bay in the North. 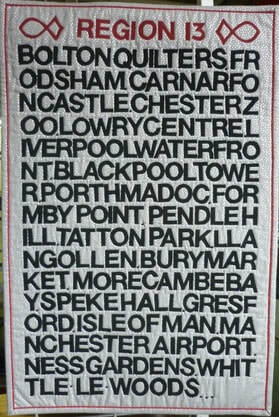 It includes the Isle of Man and the large cities of Manchester and Liverpool. 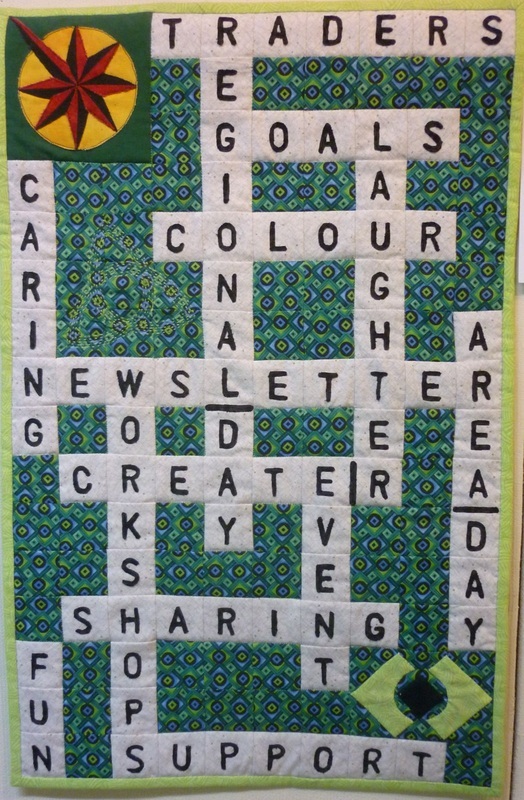 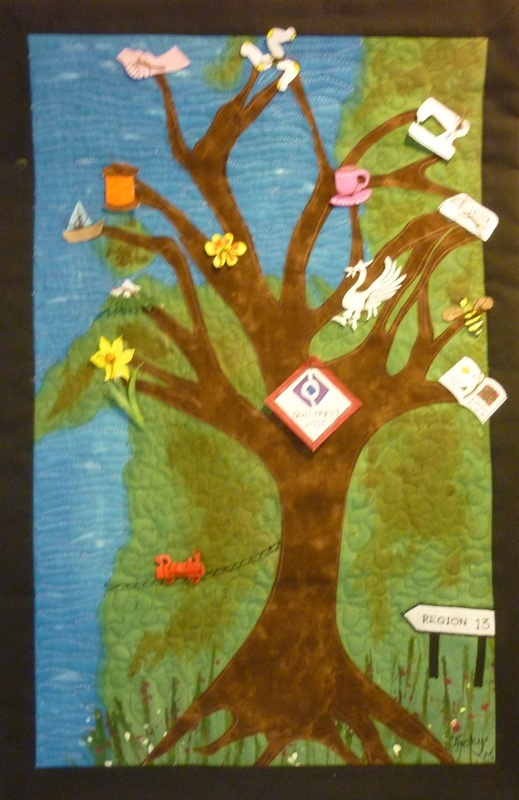 Members of Region 13 were challenged to make a quilt inspired by the title "I like Region 13 because....." . 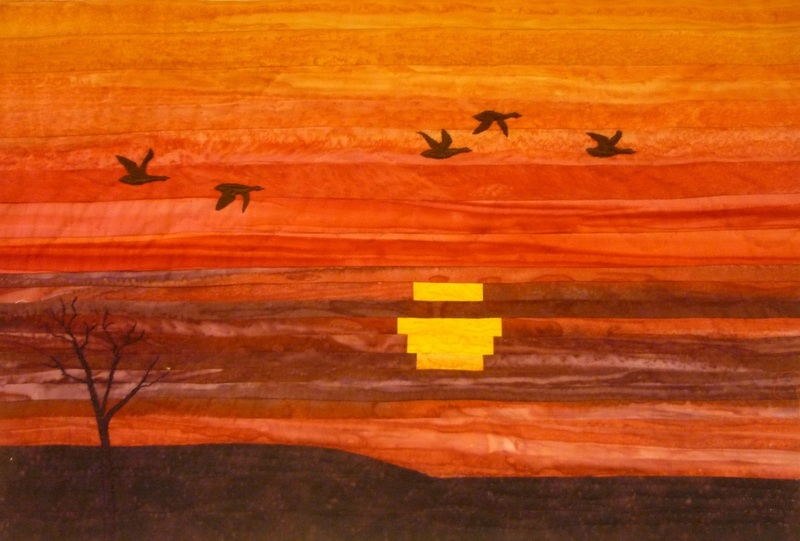 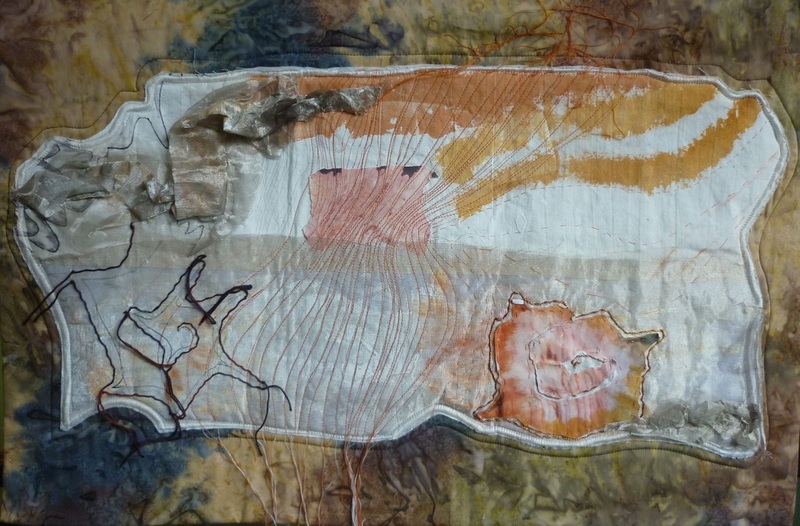 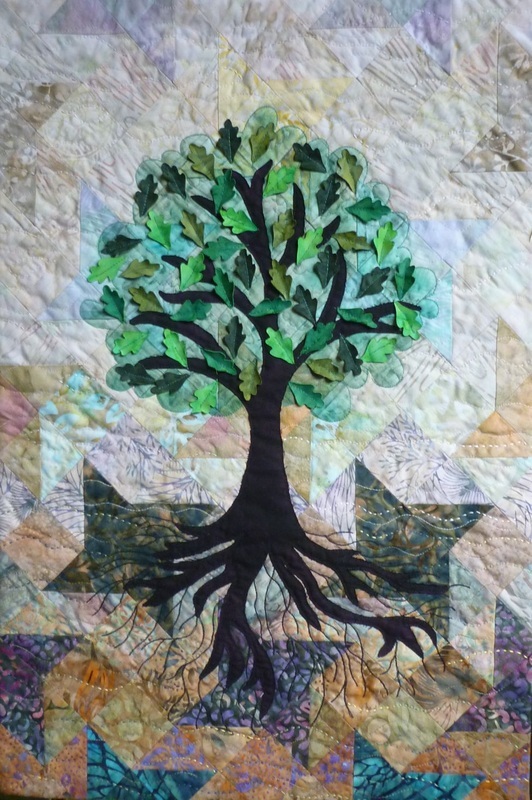 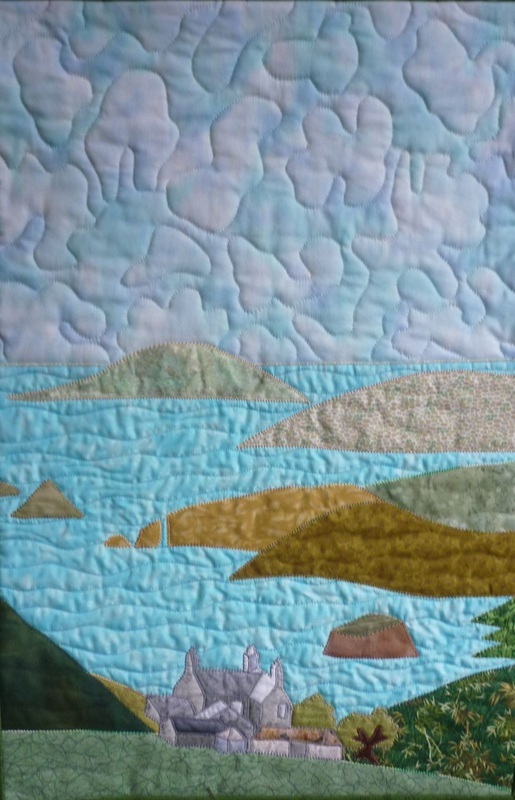 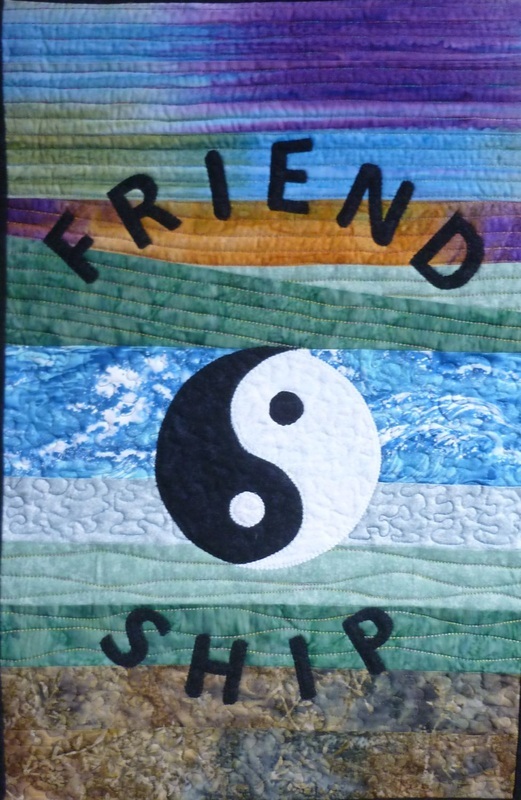 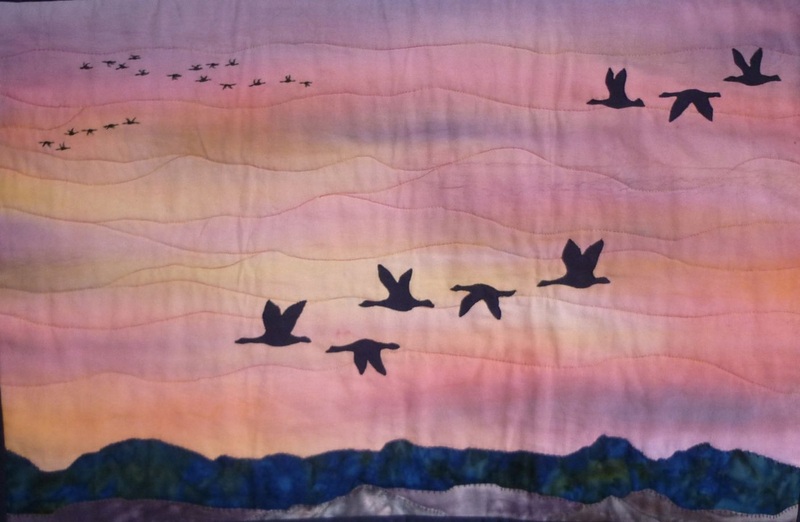 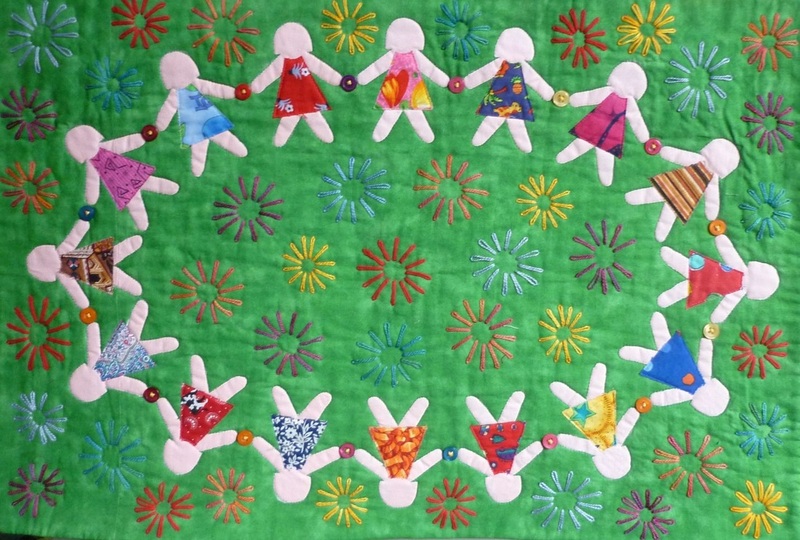 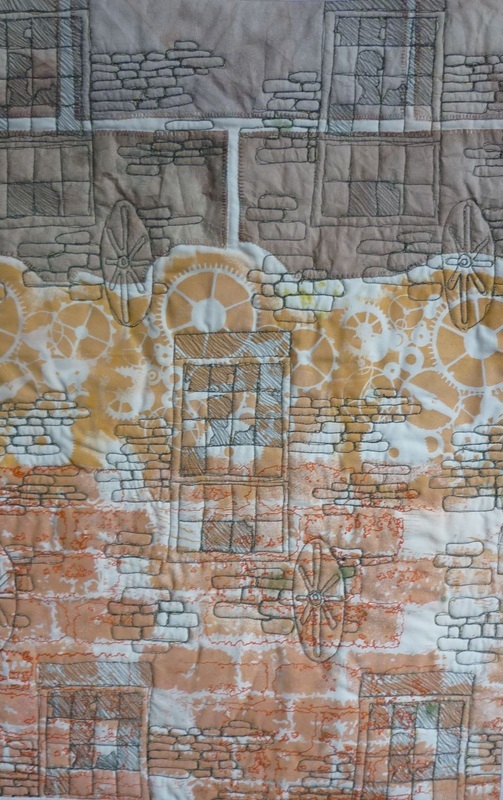 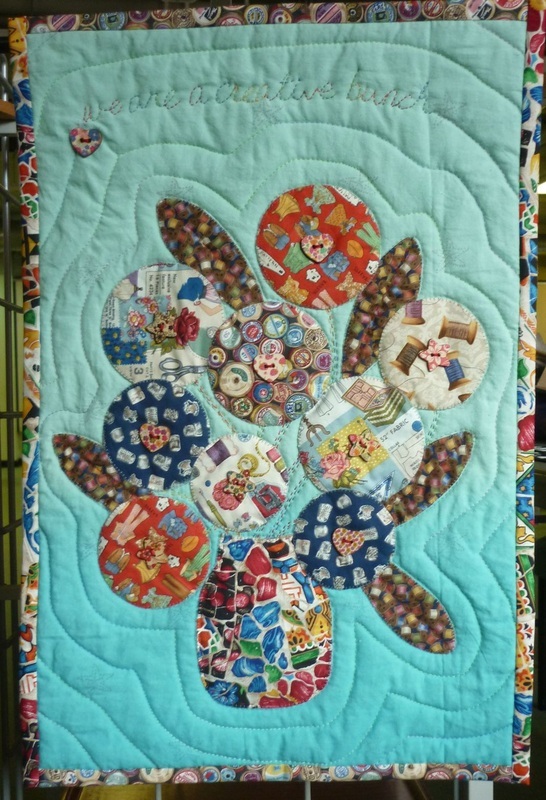 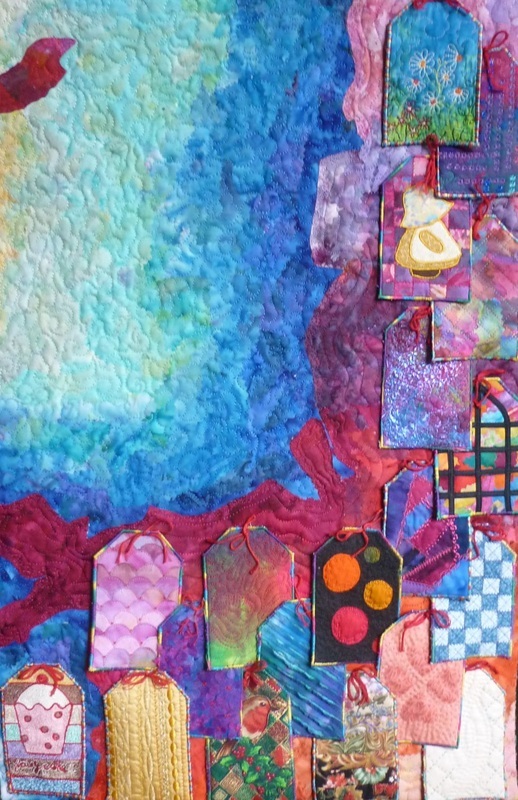 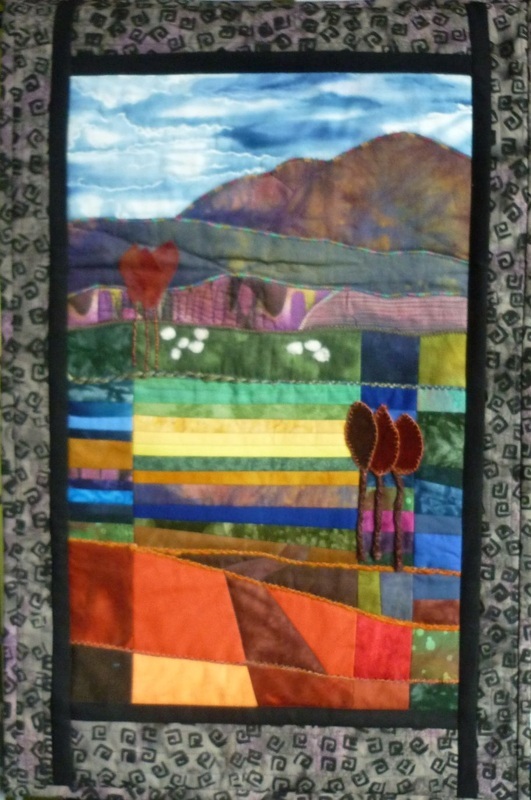 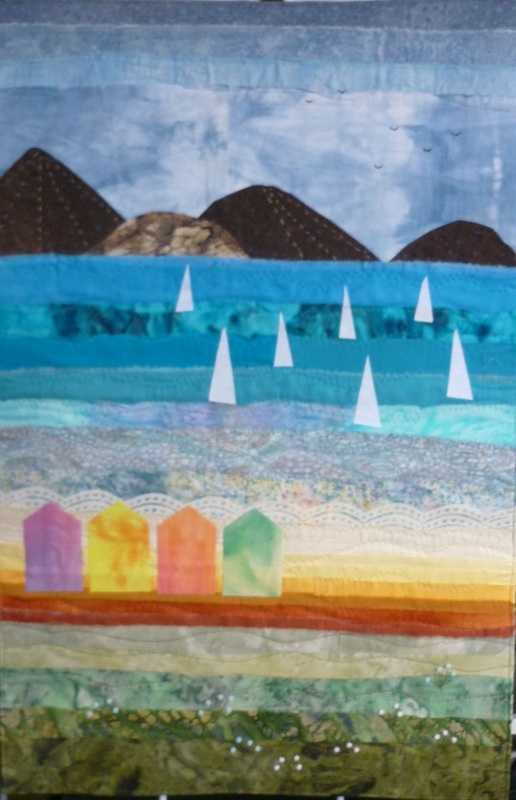 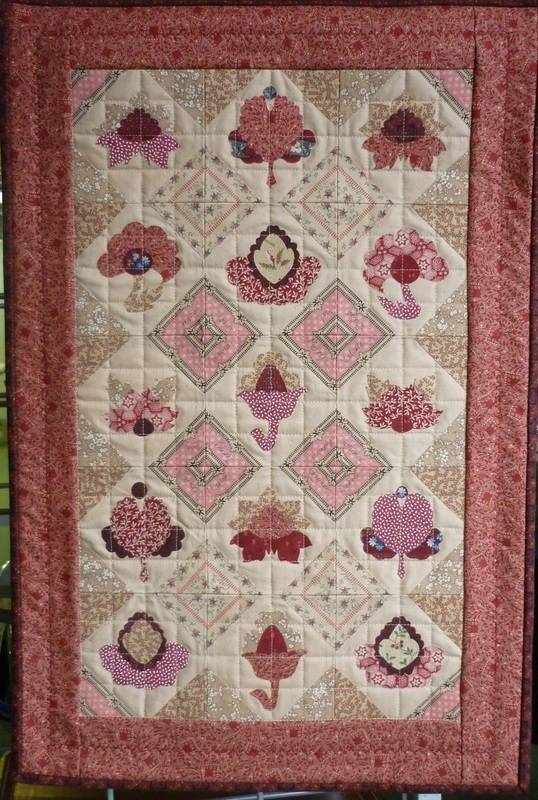 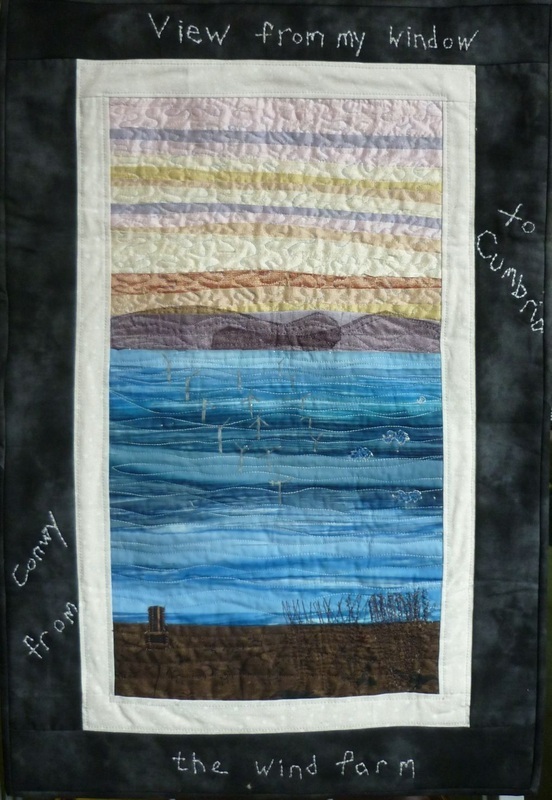 All the entries were exhibited at Quiltfest this year - the first time that the region had responsibility for curating the event. 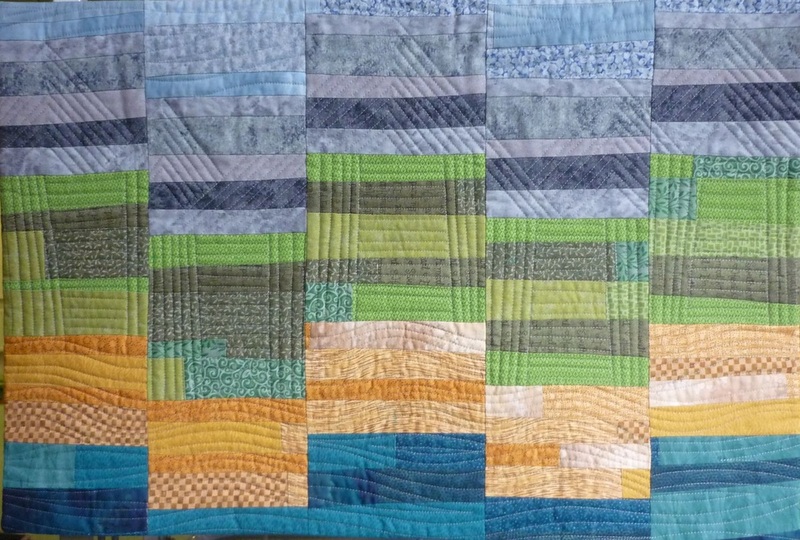 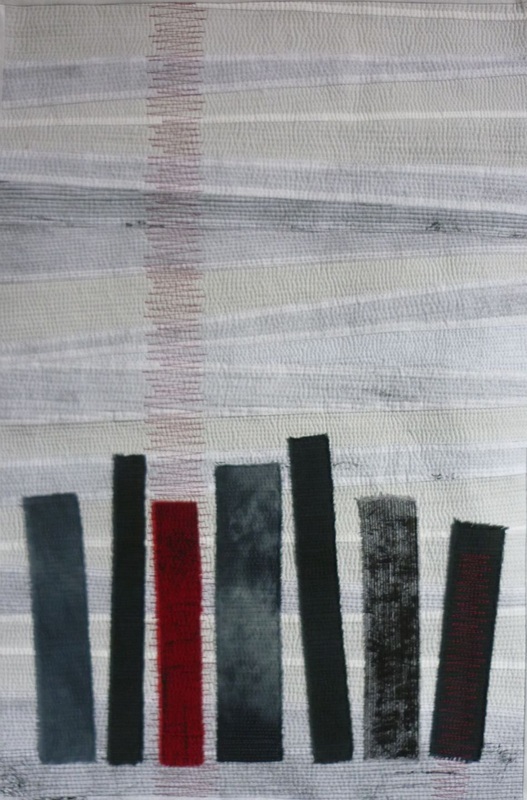 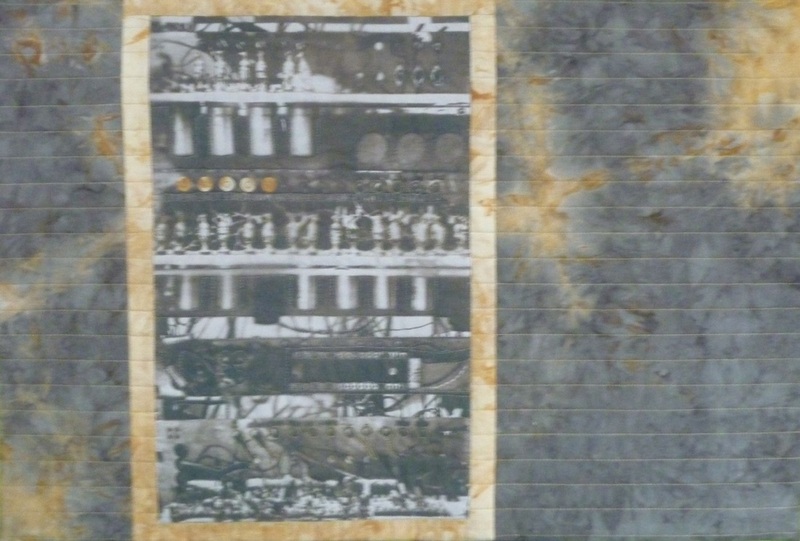 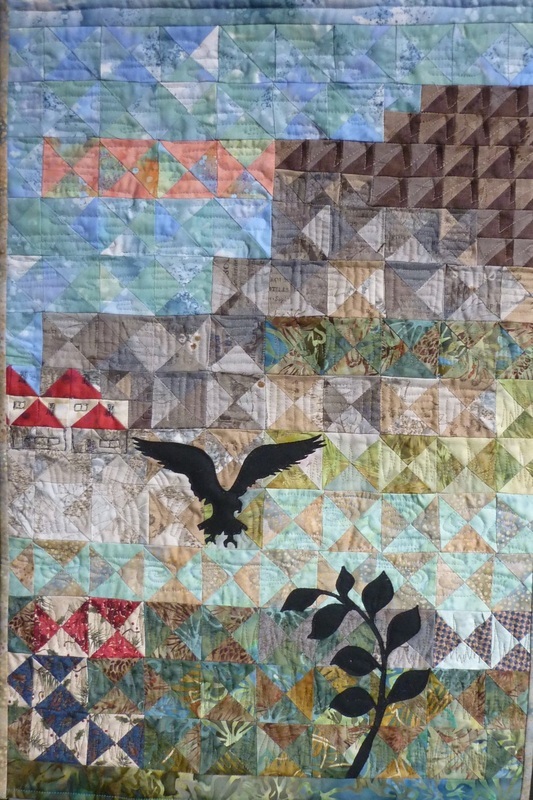 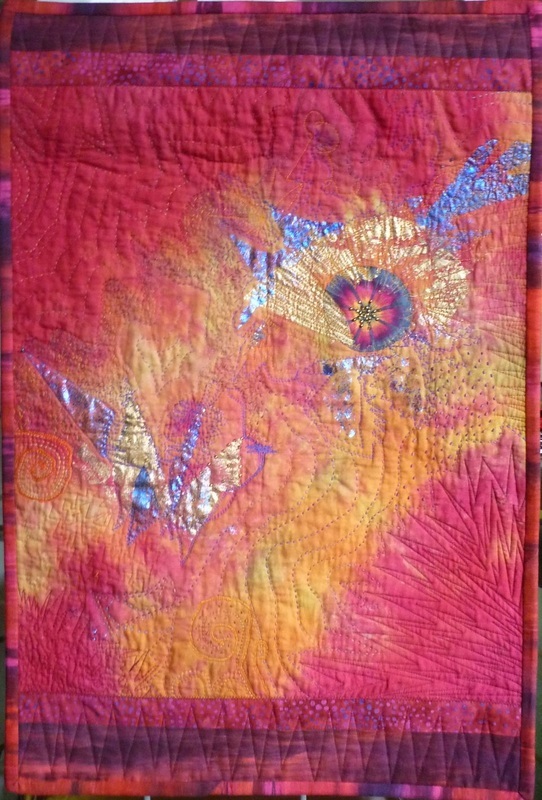 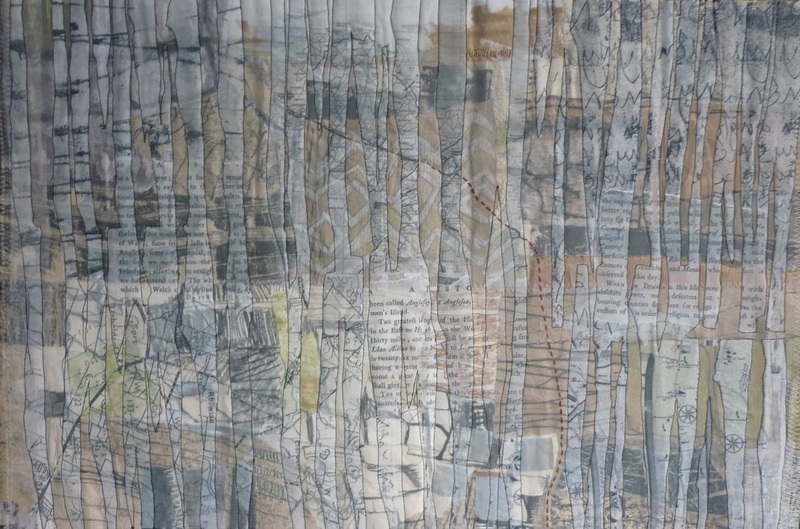 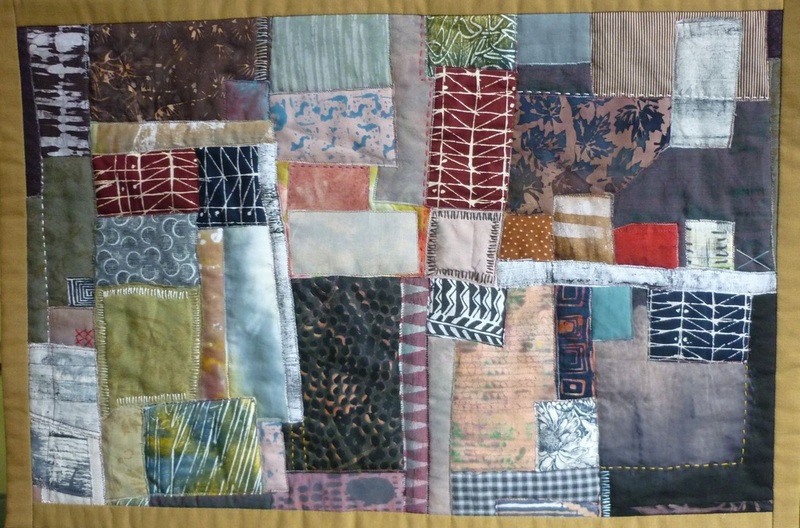 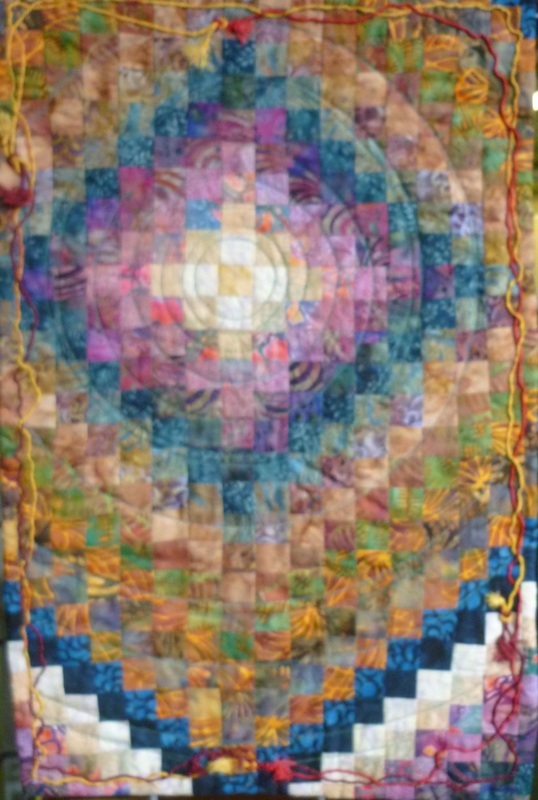 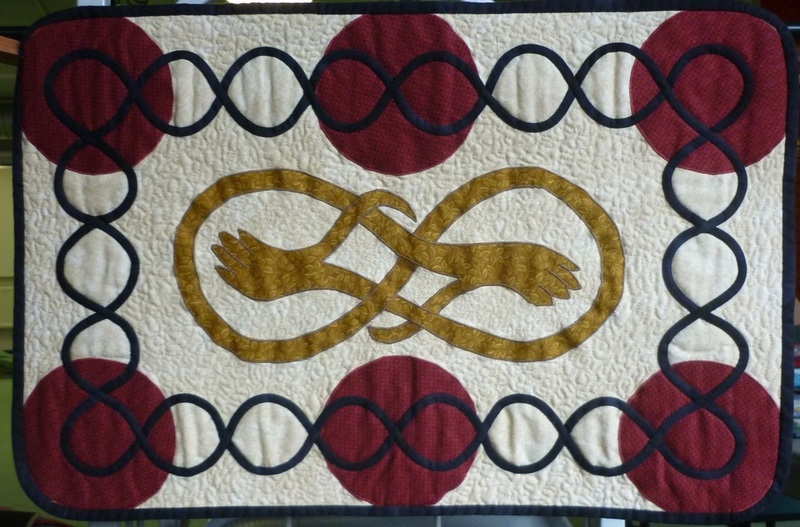 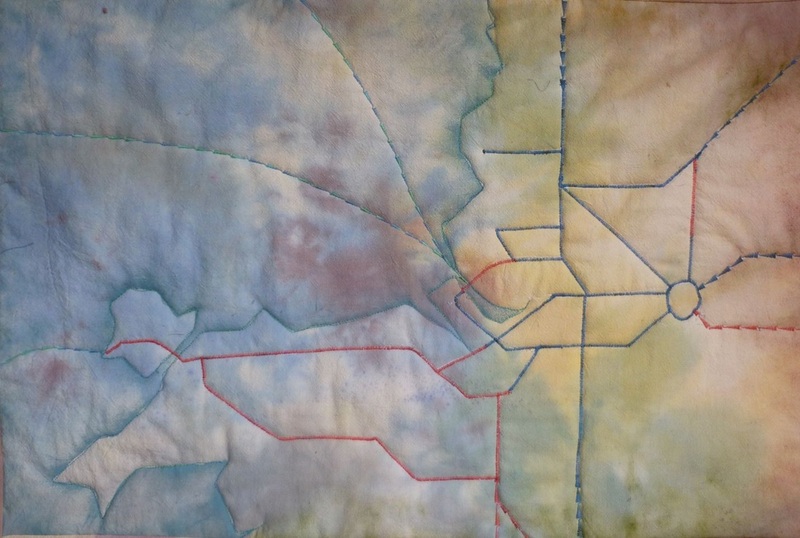 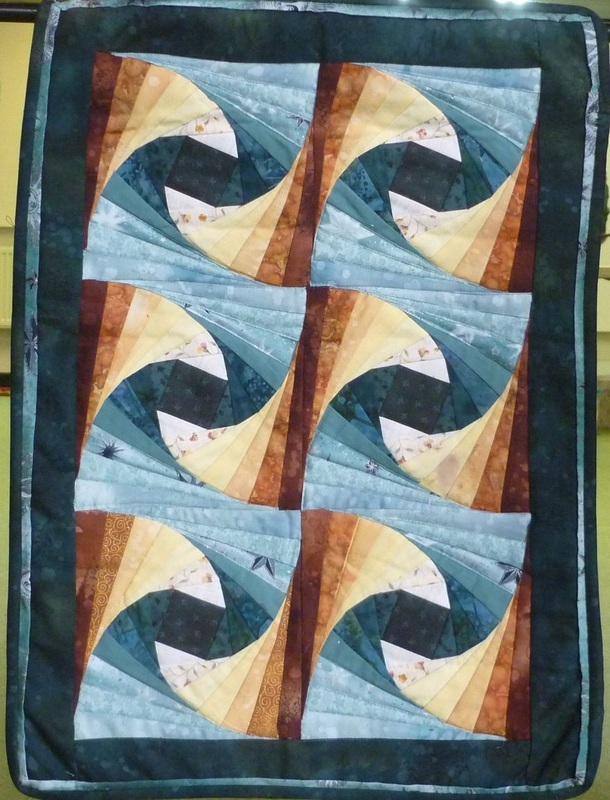 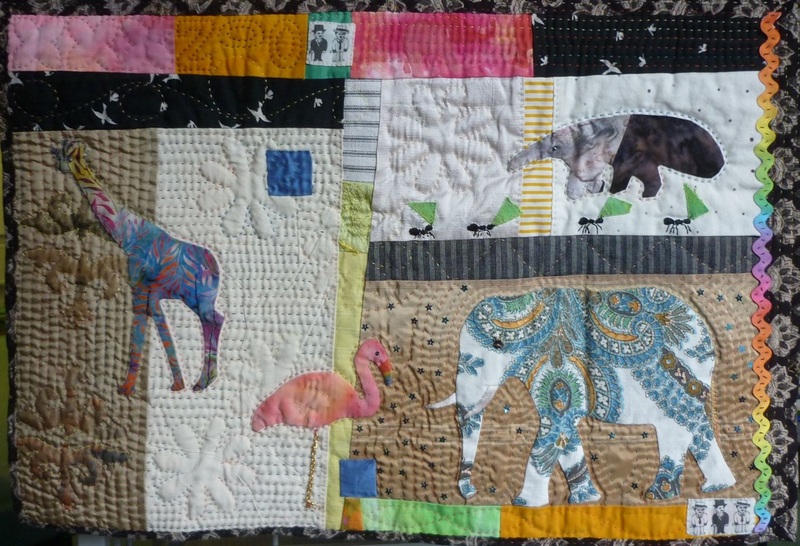 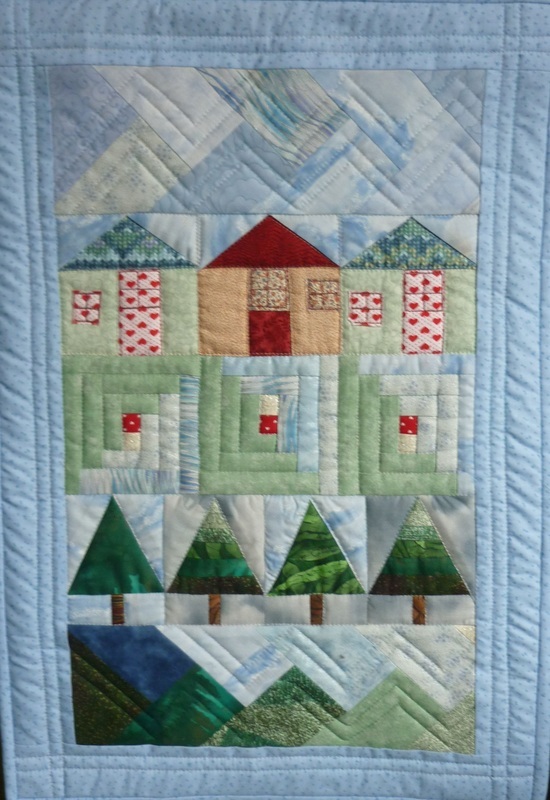 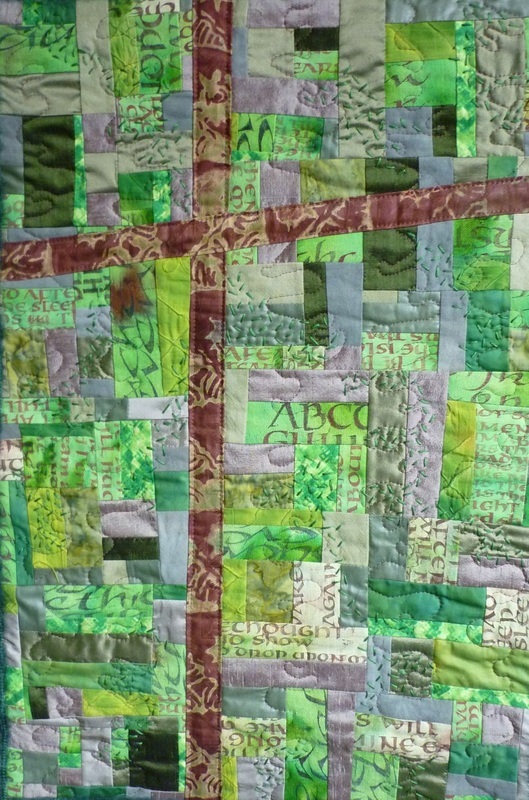 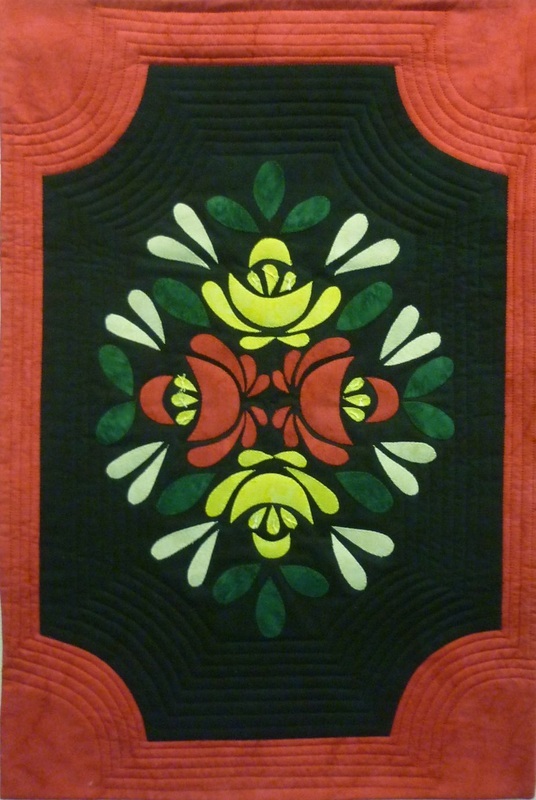 ​All quilts were 24" x 16"